In a little farm cottage tucked amongst the hills of the Wisconsin driftless region, sat four adults. My daughter Isabel was in bed. It was 10pm and the aforementioned adults, at least 3 of the 4, were struggling a bit to make it to midnight to ring in the new year. After some debate, we decided to pop open the champagne and celebrate with our northern brothers and sisters in Newfoundland, as they were 2 hours ahead of us. As we sat on a well worn couch and sipped our bubbly, there came a fluttering and scratching at the the large window behind our couch. Tis a quiet and dark location of the world we were in, and thus this modest commotion quite scared the bejeezus out of us. My mind immediately screamed "IT'S A BAT!". This is ridiculous for a number of reasons, not the least of which is that I adore bats, and have never possessed the hysteria some other individuals like to reserve for these creatures. Funny how the mind works sometimes... I digress. As we tried to figure out what it could possibly be, it happened again. This time, however, when we turned to look at the window we saw the source of the scuttering: a junco. The junco was not so much flying in to the window as it was flying right up against it. It would fly up and down the window's length, using its claws to aid in climbing. All the while it peered at us. It did this repeatedly. Various hypotheses were tossed about as to why a junco was engaging in this risky, precious energy expending behavior. 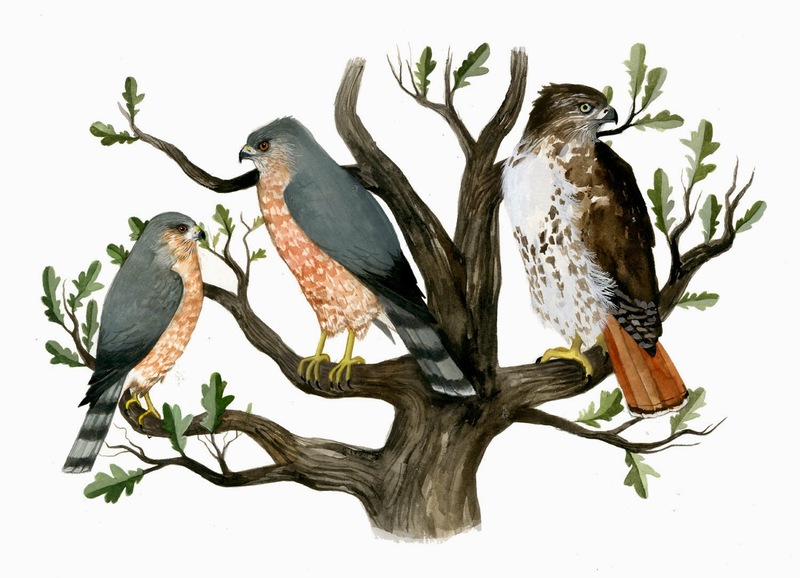 I mean, it should have been tucked safely away with his junco friends in one of the gigantic pine trees that surround the cottage. Had it been flushed out by an owl? Was it attracted to the light? Did it want to come in a join our little soiree? It was hard not to invite the little fellow in. We debated as to how we could encourage it to cease its activity and fly off to find a cozy roost. Then it became quiet again, convincing us it had come to its senses and flown off. My husband Jay, however, was skeptical. He took a small flashlight, flicked it on, and directed it to the window sill outside. Sure enough, there sat Confused Junco Buddy. It sat calmly, while arching its neck a bit to be able to look over the window moulding, and peer in at us. Finally, we resorted to shutting off all of the lights, and this seemed to do the trick. So, it was possible that CJB was attracted to the light. Who knows? 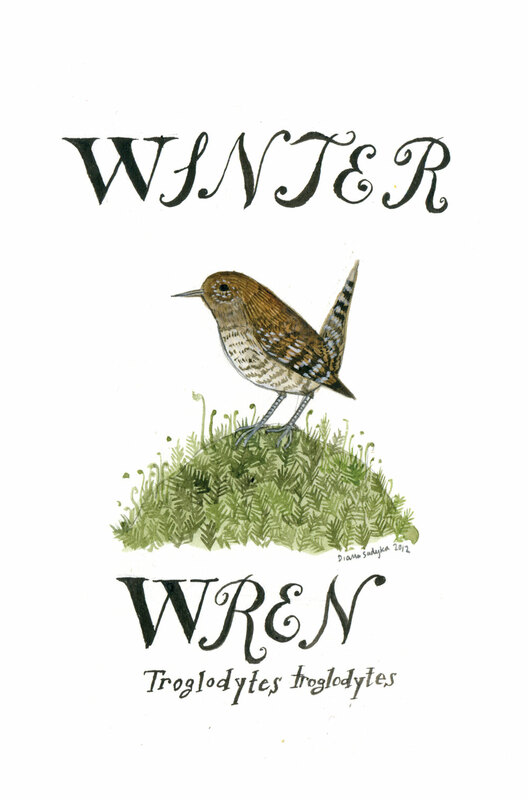 A little avian mystery for 2012, but we all thought he had earned his right to being Tiny Aviary bird for the year. About the paintings above: this was a batch I did over the last couple days while waiting to hear back from an illustration client. 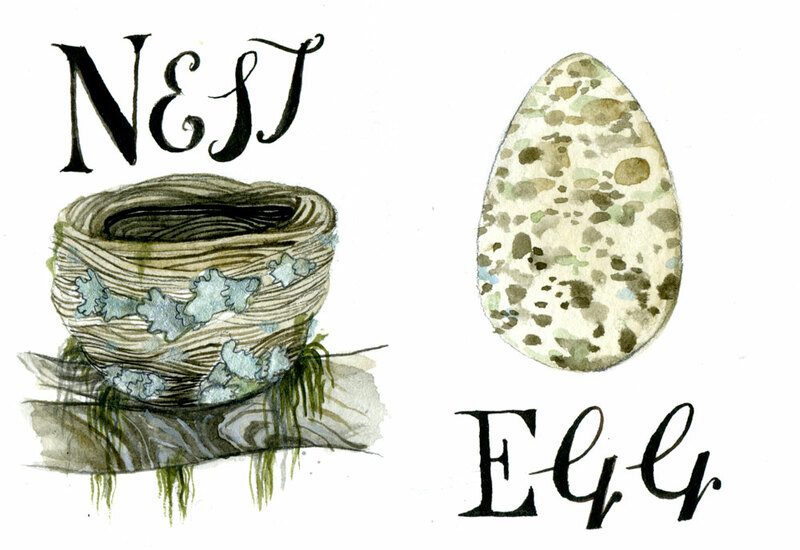 The wren and junco are sold, but the pair (Nest Egg) is still available here. What a wonderful story. 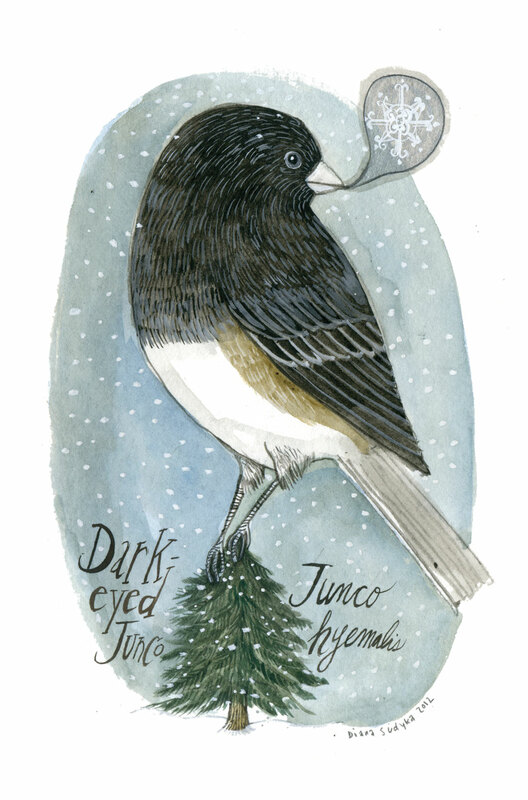 I love juncos but have never seen one at night! Me neither, until this incident. This was very unusual behavior for a junco, I think. That little Junco was meant to be wasn't he! It's great when something happens like that, maybe not for the junco though? I'm sure he found his way home. Love your new artworks, I do like your style. 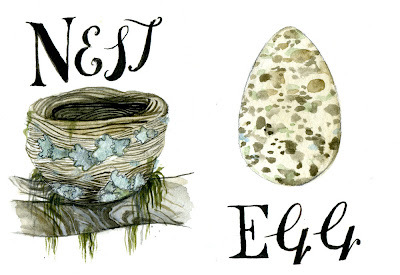 Your drawings are exquisite, so glad to have found this site. I had the same experience with a junco at my window this evening and resorted to the same tactic to resolve it. Hope the little punkins are ok!